Yesterday, vivandlarry.com visitor Meg sent this wonderful article and anecdote about Vivien Leigh that was written by British journalist Godfrey Winn. A close friend of the Oliviers, Winn had known Vivien since 1936, and stayed friends with both her and Laurence Olivier even after they divorced. 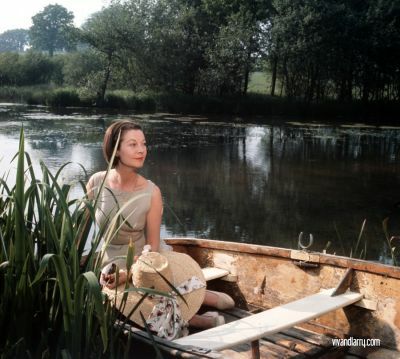 He is also the one who arranged for photographer George Douglas to shoot the lovely photos of Vivien in a rowboat on the lake at Tickerage Mill near the end of her life. There was a particular passage in the anecdote Meg sent from Winn’s autobiography, and I thought it was so poignant, I just had to make a blog post about it. This might have such a poetic flare to it because Winn was a professional writer, but Vivien Leigh really had a way with words. Her insight is amazing, and I think it’s fascinating to read what she had to say about this particular time in her life. I’d love to hear what you lovely readers think of this passage. ‘I agree with you,’ she said quietly, ‘that all life consists of a continuous compromise, for everyone. This is a breathing space for me, while I refill the reservoir. I shall never marry again. I am certain of that. Larry still possesses too much of me. But as long as I am well enough to go on working, I shall be all right. ‘You remember the first day we met at Jeanne’s (de Casalis) for the air rally, and the wonderful party Noel (Coward) gave that evening, and Ruth Chatterton was there? I was making “Fire Over England” then, and Larry was in it too. 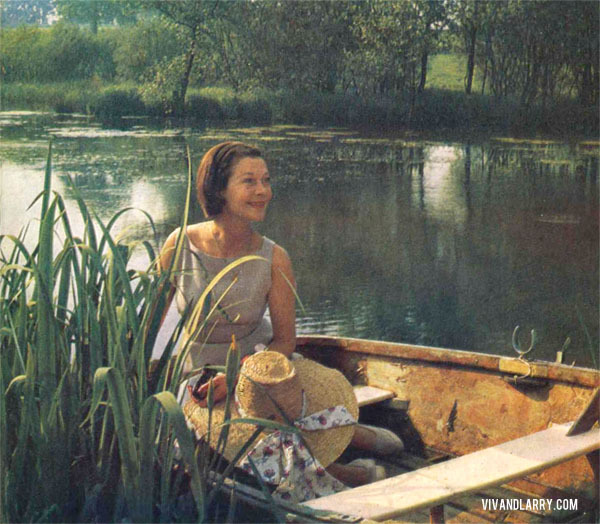 Flora Robson was playing Queen Elizabeth. It was in that film that Larry and I met, too. I wonder whether-if the film was shown again-you would see it in our faces, the confrontation with our destiny. I don’t think I have ever lived quite as intensely ever since. I don’t remember sleeping, ever; only every precious moment that we spent together. ‘We were so young. I mean all of us were so young. Like those who went to the war and did not come back. I trusted everyone and I imagined, like the very young always do, that everything lasts forever. I mean a day like this would be followed by another and another and another. Brilliant. She was so poetic. There’s such a unique wisdom in her words and in the way she uses her words; like someone who’s lived through everything and who’s accepted the world for everything it is. To think that she was able to have such an understanding of life in her fifty-three years really shows what a special woman she was. And those photos are amazing. Her face really speaks volumes.